*Optional 600HP Cats, fast when you need it. United Yacht Sales Emerald Coast would love to guide you through a personal showing of this 47' Sabreline Aft Cabin 2001. 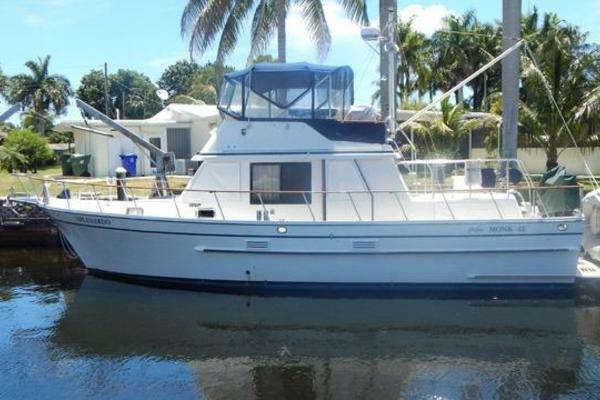 This yacht for sale is located in Annapolis, Maryland and priced at $379,000. For a showing please contact us by filling out the form on this page and we will get back to you shortly! fresh water washdown, spare props mounted in lazarette. Aft cabin with island queen, head & shower. TV, bow cabin, Toshiba on brachet. T/3176 Cats 2085 hours as of 7/26/2018, 600 HP each.